If you’re looking for an affordable yet professional moving company, give Moving Connections a call. Moving Connections has been moving families, businesses, and individuals along the Wasatch Front for more than thirty years. We are not part of some impersonal sprawling chain of national franchises, but a locally owned and operated business. At the same time, Moving Connections is a professional moving service. We are federally licensed, bonded, and insured. And we also provide all the ancillary services you would expect from a professional moving company, such as home staging services and climate controlled storage space. So you know we’re in business for real. And if you’re looking for a cost saving residential moving service, check out Moving Connections’ Labor Only option. If you’re a bit of a Do-It-Yourselfer, then you’ll find yourself saving lots of dollars with the Labor Only plan. If Moving Connections is moving you to Tooele it's a perfect time to begin to utilize the many resources and bounties of Tooele. For example click on the picture to the left to go the Moving Connections 'Support - Advice - Assistance' page and discover Tooele for the first time. Once you are on the 'Support - Advice - Assistance' page go ahead and open the .pdf link found there and tape the list of emergency and useful phone numbers on your refrigerator. Moving Connections has gone to great pains to find those links and connections to integrate you quickly into Tooele life. Moving Connections is the name to keep in mind if you’re considering a move to or from Tooele. 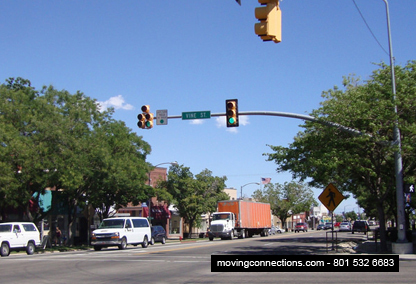 Whether it’s a Tooele residential move or a corporate relocation, Moving Connections has a moving solution for you. We are a professional moving company that is federally licensed, bonded, and insured for your peace of mind. What’s more is that Moving Connections’ top quality Tooele moving crews are selected only from experienced movers, not from temp help agencies. So you can be certain that these professional moving crews understand your moving needs and how to meet those needs. They will strive to make your moving day and moving preparations stress free and efficient. They will provide a cheerful moving service that will alleviate you of much of the strain of relocation. They pledge to make your Tooele move a smooth transition to your new home or business. So if you want a people-oriented moving company that will be attentive to your particular moving requirements, give Moving Connections a call or send us an email. One of our cheerful and helpful representatives will be happy to assist you with a free, instant estimate or answer any questions you might have about your Tooele relocation.